represents the future of used machinery trading. 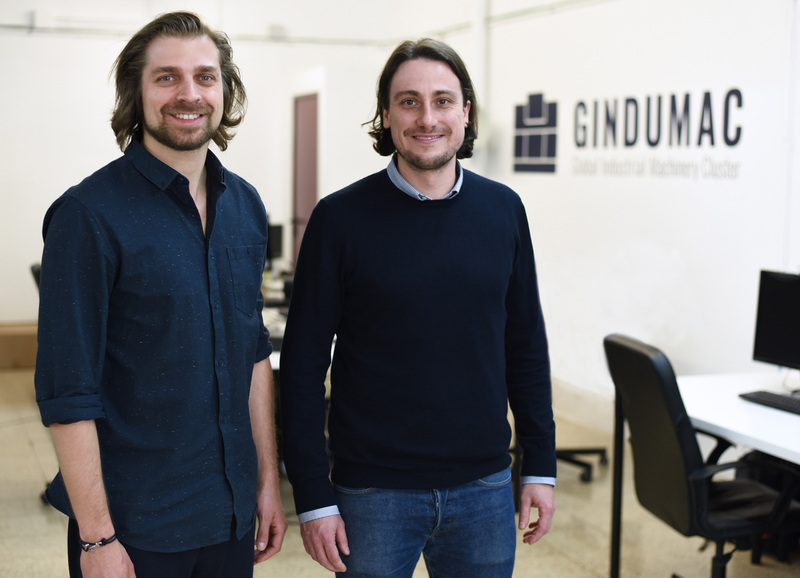 Janek Andre and Benedikt Ruf, Co-Founders and Directors of GINDUMAC, created GINDUMAC as a movement to solve the problem of intransparent and inefficient transactions in the used machinery market. Janek Andre and Benedikt Ruf (from left to right) in the GINDUMAC Office in Barcelona, Spain. and in September 2016 with the foundation of the GINDUMAC S.L.U. in Barcelona, Spain. In May 2017, Pankaj Patel, Country Manager India, joined the movement with the opening of a new country office in Mumbai, India. GINDUMAC simplifies and leverages trading transactions of used machinery by using advanced technologies and data-driven solutions. In every transaction, from initial purchase to final sale, GINDUMAC is the owner of all machines traded. Having full ownership of assets and leverages GINDUMAC can provide the highest economic transaction values and transparency for sellers and buyers around the world. People from all over the world join GINDUMAC and are shaping The GINDUMAC Movement to be the most powerful connected network of used machinery experts with the goal to make intransparent and inefficient transactions obsolete. GINDUMAC shapes the digital future of used machinery trading by a unique technology and data-driven asset portfolio. sell and buy used machines 24/7. Do you want to write about GINDUMAC? Contact us directly. We would be more than happy to support you with additional information.